A road win to end the regular season was probably too much to ask from this Spurs team; but was not getting blown out too tall of an order? The Spurs’ complete futility on the road this season is utterly baffling. Do you remember the last road win? That would be February 25th in Cleveland. They come into the playoffs with 8 straight losses and having not won on the road in almost 50 days. Before the win in Cleveland they had lost their 4 previous road games. So for those keeping track at home, that’s a sterling record of 1-12 in their last 13 road games, dating back to February 10th. More fun facts from the road: the Spurs ended the season 14-27 on the road, the worst road record of any team in the playoffs by a full 3 games (the Timberwolves are next with 17 road wins). –The Miami Heat on October 25th, a whopping 17-point win against a playoff team. –A 2-point win against Portland on December 20th. –The aforementioned win in Cleveland. That’s it; those are the team’s only road wins against other playoff teams. On the flip side, the team is damn near elite at home. They finished the season 33-8 at home. The only two teams better? The Houston Rockets and Toronto Raptors (both at 34-7), the top two teams in each conference. Only three other teams in the entire NBA even had 30 home wins: the Timberwolves, the Nuggets, and the 76ers. The team ended the season with 11 straight home wins, dating back to the beginning of March. And these aren’t bad teams; they had wins over the Warriors, the Rockets, the Pelicans, the Timberwolves, the Wizards, the Jazz, the Thunder, and the Blazers. That’s 8 playoff teams. The Spurs are basically a 1-seed at home and a lottery-team on the road. They haven’t lost at home in over a month and haven’t won on the road in nearly two. Which leads us to the playoffs. The pessimist’s take: if you can’t win on the road and you’re the lower seed, what chance do you have? The optimist’s take: if you’re unbeatable at home, all you have to do is find a way to steal a game on the road to get the upset. Most Spurs’ fans are (rightfully) in the pessimist’s camp. But there’s reason for optimism, because the Spurs opponent is the Golden State Warriors. Yes, they are the defending champs. Yes, they’ve given the Spurs fits over the last few years in ways both dominating and heartbreaking. 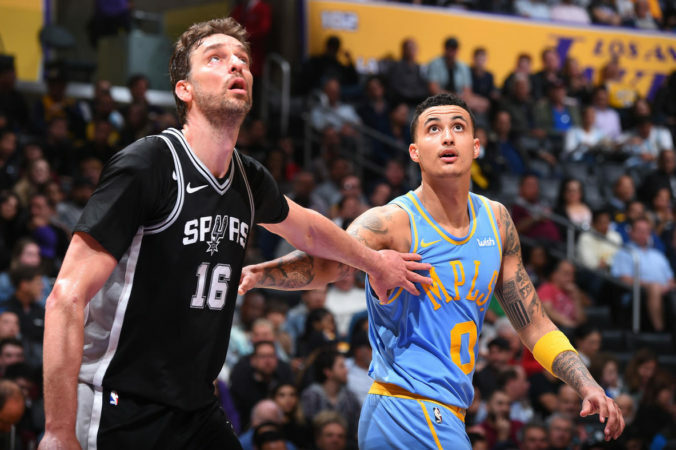 There’s no reason to give the Spurs any sort of chance, particularly with how inconsistent the team has been all year and how impotent their offense has generally been. But this isn’t “The Warriors”. This is a team also struggling with injuries to their most important (if not best) player. This is a team struggling to find consistency and rhythm at the end of the season, going a meager 7-10 in the final stretch of games with some bad losses. This is a team who have been to 3 straight finals, who had no motivation during the regular season, and who are hoping to “flip the switch”. If ever a team was ripe for an unexpected upset, it’s these Warriors. Unfortunately, the Spurs are probably the team least-equipped to pull off that upset. But the chance still remains. If the Spurs can remain elite at home, they can easily push this to a 6 or 7 game series. All they need to do, then, is steal one of those road games, a seemingly impossible task. But I remember March 8th, the night the Spurs lost in Oakland to the Warriors. Steph Curry left the game early with injury, and the Spurs faltered in the final minutes to lose the game by 3. But it was there for them to take. A few bounces go a different way, and the Spurs win that game. I look to that game because it featured basically the exact same rosters each team will enter the playoffs with. That night, the Spurs proved they can compete against the Warriors on the road. That’s all we can ask for: competitive spirit. There’s little reason for optimism, but there’s plenty of reason for hope. The Spurs and Warriors open the 2018 NBA Playoffs Saturday afternoon. In October, if you’d told me that all the Spurs needed to do to secure a playoff berth was beat the Kings at home, I’d have shrugged my shoulders and assumed you were talking about some random home game in March. If you’d then told me that it was actually Game 81 and the win–and the playoffs–were in jeopardy, I would’ve assumed the worst. And the worst did happen, sports-wise. The Spurs lost their best player (for all intents and purposes) for the whole season. A roster built around the supreme talents of one player suddenly became a collection of unproven role players, past-their-prime veterans, and one star with a game built around an antiquated mode of playing. It was a tough season by Spurs’ fans standards, and Monday’s win over the Kings kind of encapsulates all of it. The team was really unable to generate any chemistry or momentum until the fourth quarter, and had to be bailed out by their 40-year-old “star” who still probably plays with more passion than any other player on the team. The win didn’t necessarily inspire any confidence, but it wasn’t a nail-biter. It was fine. This team is fine. This season was fine. “Fine” is a tough sell to us spoiled Spurs’ followers. LaMarcus Aldridge had a rare game in which he struggled. Luckily Rudy Gay, Manu Ginobili, and Bryn Forbes helped to pick up the scoring slack. The team picked up the defense in the second half, holding the Kings to an anemic 35 points in the final 24 minutes. What finally secured the win, though, was the team deciding to play some offense, exploding for 38 in the fourth quarter, after managing 60 in the preceding three. The game secured the team’s passage to it’s unprecedented 21st straight playoffs. We shouldn’t take that for granted, but we will. The team’s consistency for decades is remarkable, and only helps to underscore how unrecognizable a good (or, as others might say, “fine”) season is to us. This is/was a good season. To listen to us talk about it, you’d believe otherwise. Now we wait to find out the team’s final spot in the Western Conference hierarchy, with any seed from 4 to 8 possible. If the team beats New Orleans on the final day of the season, I believe they can do no worse than 6th. If they lose, I believe they can do no better than 7. We won’t know for certain until the final buzzer sounds late Wednesday night. The last time the Spurs closed the season in New Orleans, it ended in disappointment and presaged an early playoff exit. Here’s hoping for a better result this close of season. 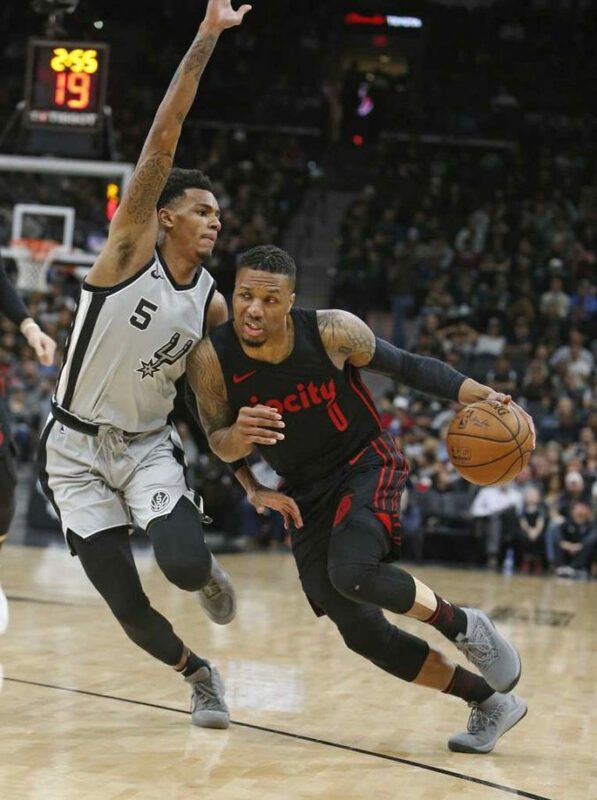 If Saturday night’s matchup versus the visiting Portland Trail Blazers felt like a playoff game to you, you’re not alone. San Antonio came into the game needing two wins in their final three contests to secure a 21st consecutive trip to the playoffs. The team has been in win-or-go-home mode since, what, early March? Lost in the chaos of a drama-filled season – in which the leading headline has mostly been about a guy who isn’t even playing basketball right now – is a tale of two teams. One team, plays in San Antonio, wears a color combination of black, silver and white, and more importantly, carries a sense of pride and responsibility. This team is good at basketball and while they may not be the best team in franchise history, is at least fun to watch. At their best, they are probably good enough to be the 3 seed in the Western Conference. In reality, they are a good basketball team. The other team mirrors the first team in some aspects. You can see the resemblance, such as the same color combination of the jerseys, but the differences are also glaringly obvious. Completely removed from the confines of a familiar ATT Center, they wish to be nestled closely by a supportive fan base and comforted by some good home cookin’. This “other” team plays in the opponent’s home arena. This team is a bad basketball team. 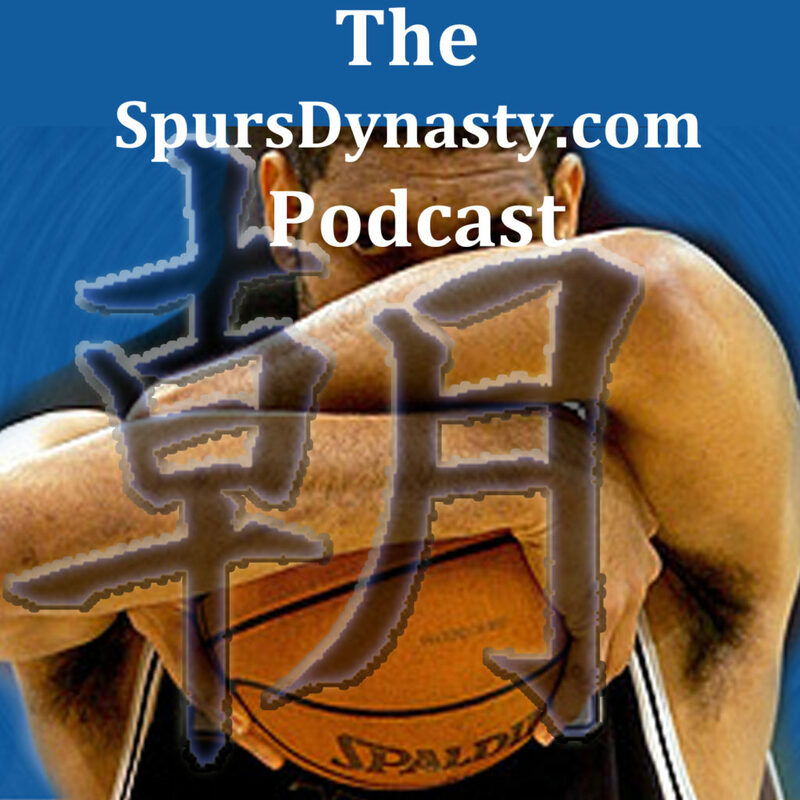 During this game there was a lot of discussion between Jeff Van Gundy, Mark Jason and Mike Breen about the consistent excellence of the San Antonio Spurs and how good they’ve played this season despite injuries. Kawhi Leonard, Tony Parker, Rudy Gay, Manu Ginobili and Danny Green have missed 68, 27, 25, 16 and 12 games, respectively. Only Patty Mills has played in all 77. It is truly astonishing, then, that the Spurs are a playoff team in the Western Conference, let alone that they have the 4th seed and are able to beat what is arguably the best team in the league. Would this game have turned out differently if Chris Paul had played for Houston? Maybe. Probably. The Spurs took the lead with 4 minutes left in the 1st quarter and never looked back. And yet, this game didn’t feel wrapped up until late in the 4th quarter. 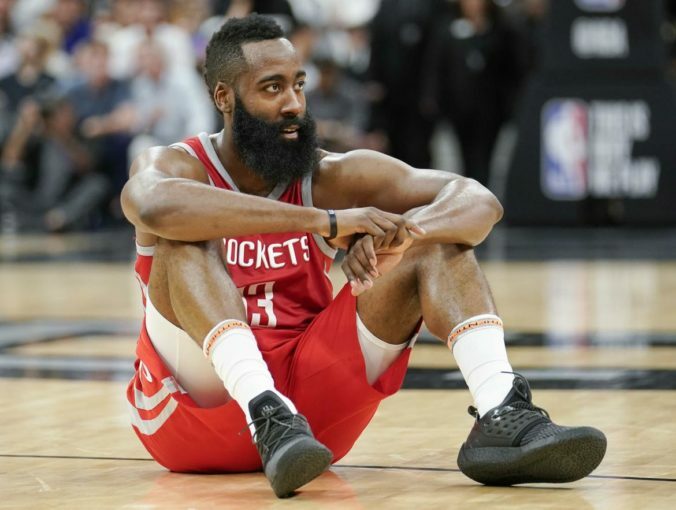 I kept waiting for James Harden to go on a scoring spree, but he never did. He ended up with a ho-hum 25 points on 8-of-19 shooting. The Spurs were led, as always, by LaMarcus Aldridge, who finished with 23 points, 14 rebounds and 3 blocks. After failing to finish a few fast break layup opportunities, and getting some advice from Coach Pop to pull up shoot the 3-ball, Patty Mills had a big fourth quarter, nailing 3-of-6 three pointers and finishing with 14 points. With just five games left to play, it’s unlikely the Spurs will win five straight to finish with 50 wins for their 19th consecutive season. They’d have to win against the Clippers and Lakers on the road, against the Trailblazers and Kings at home, then against the Pelicans on the road. Don’t hold your breath, but don’t give up faith. If last night’s game showed us anything it’s that the Spurs are a still a good team and could give anyone a run in the first round of the playoffs. The Spurs head to Los Angeles for Tuesday and Wednesday night games at Staples. Neither LA team will make the playoffs this year, so both teams will be playing for pride, if anything. Should be fun.